Hello, my dears! Y'all know I love nail polish, right? You don't? Well, just back-read my posts and you'll see what I mean :) I make sure my nails are always nice and pretty. My nails are something I'm really proud of, especially when they are all nail artsy and gradient-y and stuff. My nail polish collection started growing right after college. 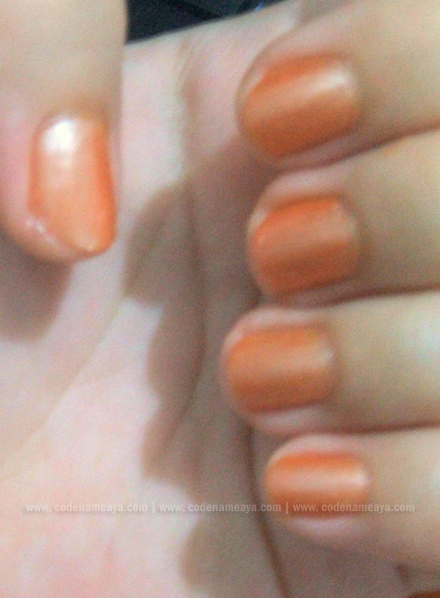 When I was in college, I rarely got to paint my nails. You see, I was a chemistry major and we weren't allowed to wear nail polish in the laboratory. I remember this one time I forgot to take my nail polish off before going to class, my lab instructor saw my polished nails then she brought out cotton balls and took some acetone from the bottle in the fume hood then tried to remove my nail polish. My nail polish didn't budge, though. Ha. She said the acetone was probably too dilute or something. Yes, that really happened. 1. 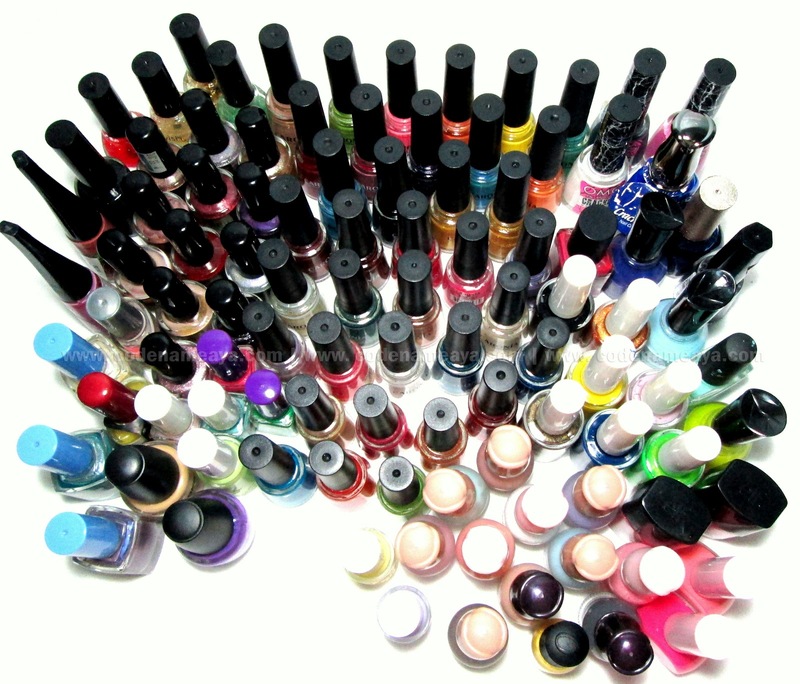 How many polishes do you have? Right now there are 107 nail polishes in my collection. I excluded the extra bottles I have (which I plan to give away) and my base/top coats. 3. Do you like crackle polish or do you have it? I have a few! 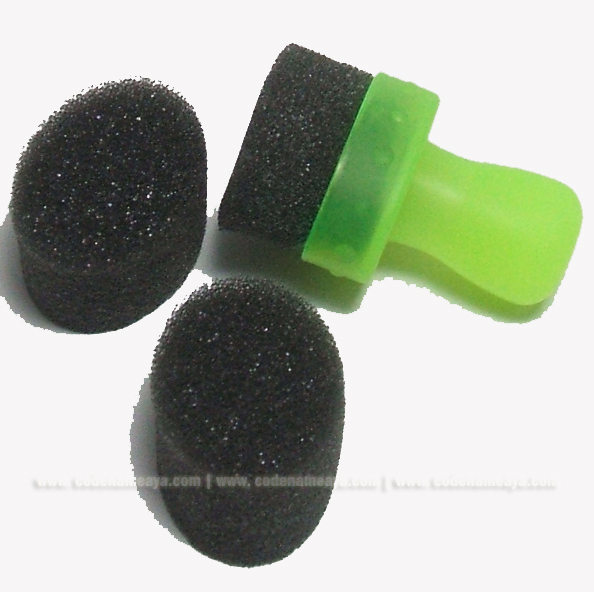 I've tried them already but I don't use them very often. I like the idea of crack nail polishes but I like experimenting and changing my nail colors/designs at least once a week so I can't just wear crack polishes every time. But I still use them when I can't think of a good design. Instant nail art! 7. 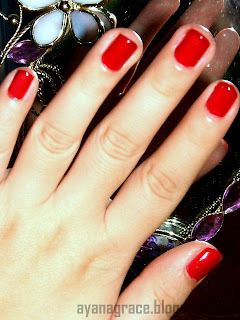 What nail polish compliments you? Dark shades, especially blue and purple ones! 9. 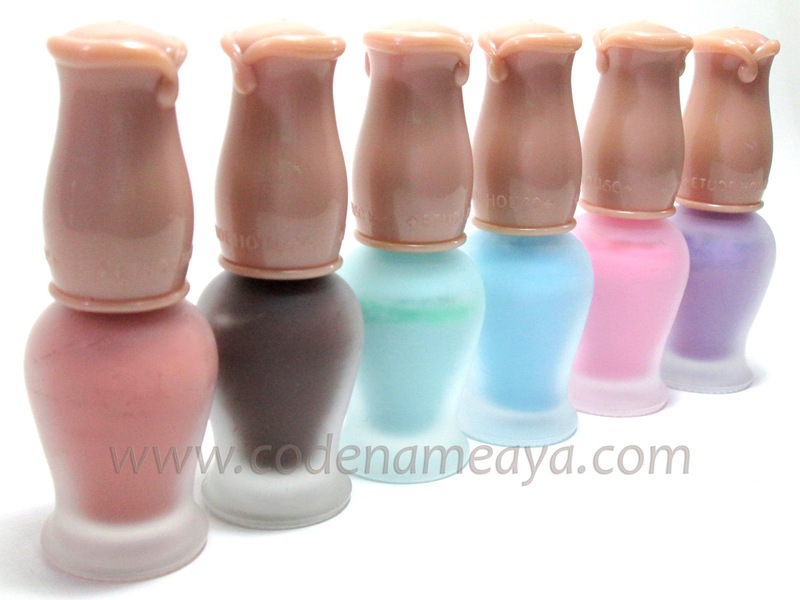 What was the best nail polish gift you ever received? Erm. I don't think I've received any nail polish-related gifts yet from people I personally know. Haha. Boooo. But I have received nail polishes from some brands and the ones I got as prizes from contests. Counted? Haha. Idk. 10. Make a speech thanking the blogger who gave you this tag. Thank you soooo much for tagging me, Che! I really enjoy looking at your nail polish hauls and your cute nail designs! I can't imagine how huge your collection is now. You're one of my fave nail polish haulers! WOW!! nasa less than 30 lang yata akin! 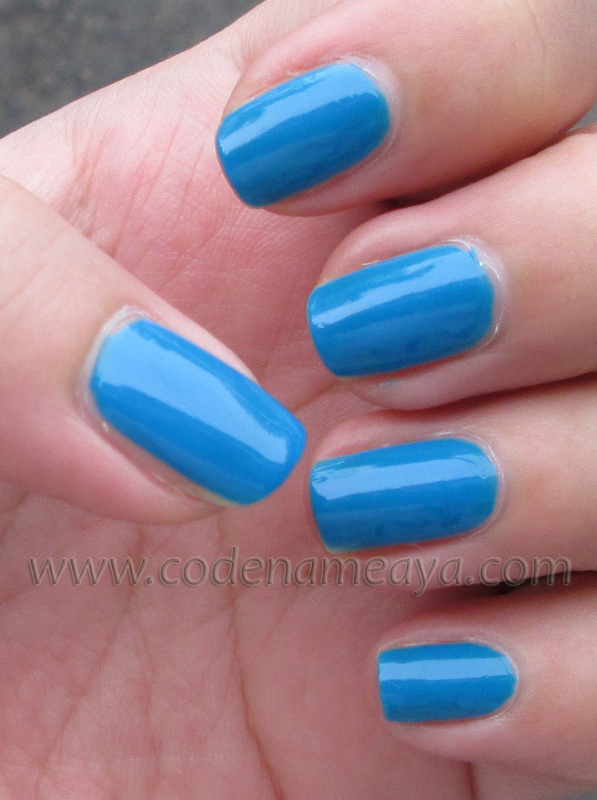 True I love Etude House nail polish formula.. hindi nagstreak saken :) omg gusto ko yung nail wheel!! what bazaar and how much mo nabili? Haha dati marami pang space sa organizer ko. Ngayon overflowing na. haha adik lang. I SO want to raid your nail polish collection now. Love all of those colors! Oh yeah :( Zoya is one of the brands I really wanna try! last time i tried i was at a hundred plus but it takes too much time & get confused by it so i just don't keep track of it.i just make sure that i shake them every now & then.